Dave called Fairhaven Shipyard as soon as they opened at 7:30. No one answered until after 8:00. The person answering the phone said she would give the message to the dock master about the short haul and have him call Dave back. We didn’t hear anything for a couple hours, so Dave took our fuel jerry cans in to refill them and talk to someone in person. In the office, the receptionist pointed at a guy and said “I gave him the message” with a little frustration in her voice. They guy had basically blown us off. After checking a few things, he said he could do the short haul a week from Thursday. Dave made the appointment and left frustrated and didn’t like their attitude. 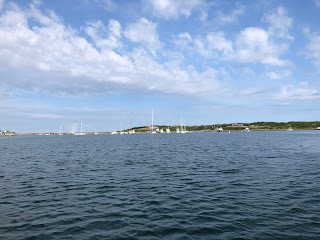 We cancelled the haul out with Bayline and decided to go back to Rhode Island where we had several recommendations for boatyards. We talked to the surveyor to cancel our appointment today. He gave us a few places that he has worked with in Rhode Island. 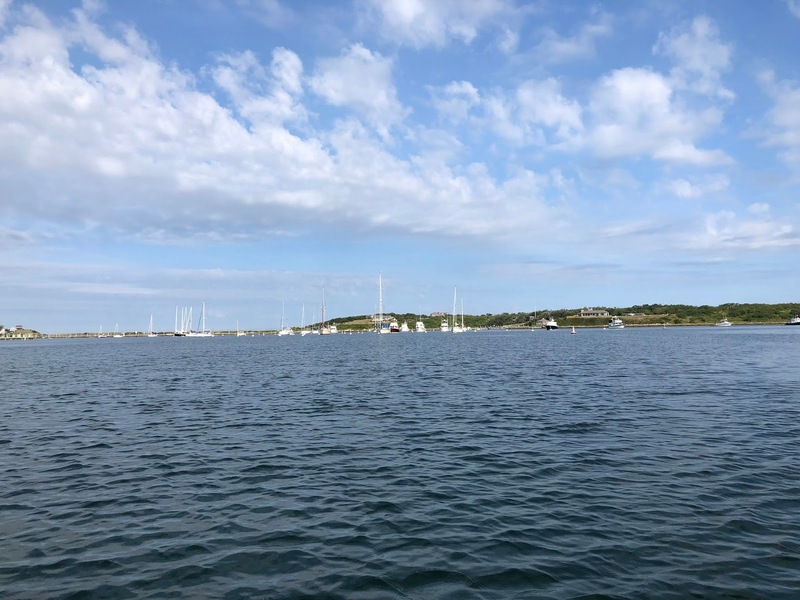 After checking with a few on their haul out system and availability, we left a message with Hinckley Yachts and decided to motor over to Cuttyhunk to check for water again. We decided to call it the “port of indecision” after a Jimmy Buffett song. On the way over, I decided to make spaghetti from scratch. If I didn’t have something ready, Dave would want to call the Raw Bar for delivery of oysters or clams again. Hinckley called back and said they could possibly haul us out on Friday and would call back in the morning. Dave liked their attitude, much more professional. We anchored in the same spot we did when we were here last week. 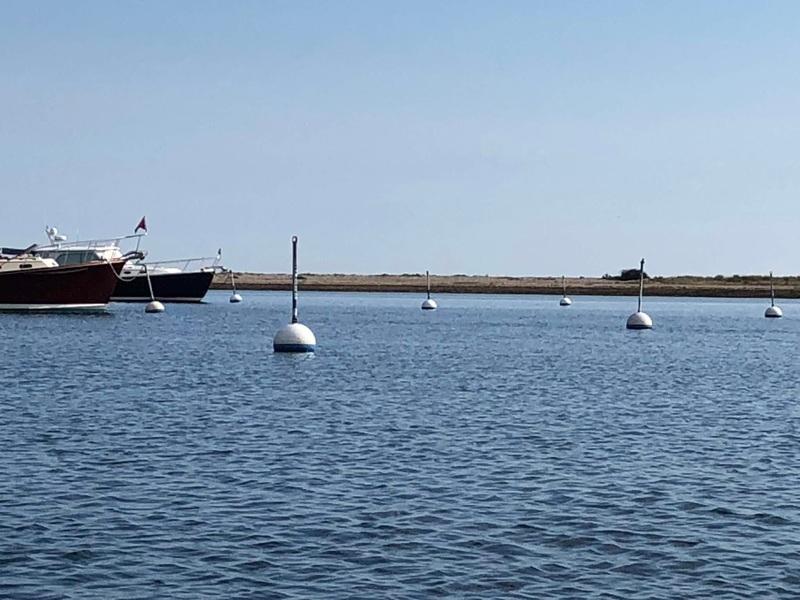 There is a channel marker with a bell that is soothing. Dave said it reminds him of a school bell from his childhood. We had gone into the harbor to look at anchoring, but it was a little too crowded for us. 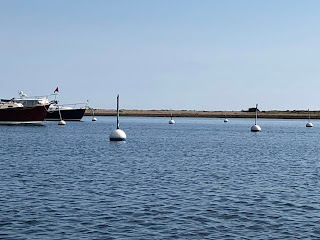 The mooring balls were $75/night. And they had their winter poles on them. I had read something about them in a review, but didn't know what they were referring to. I guess it keeps the line from freezing on the surface of the water.